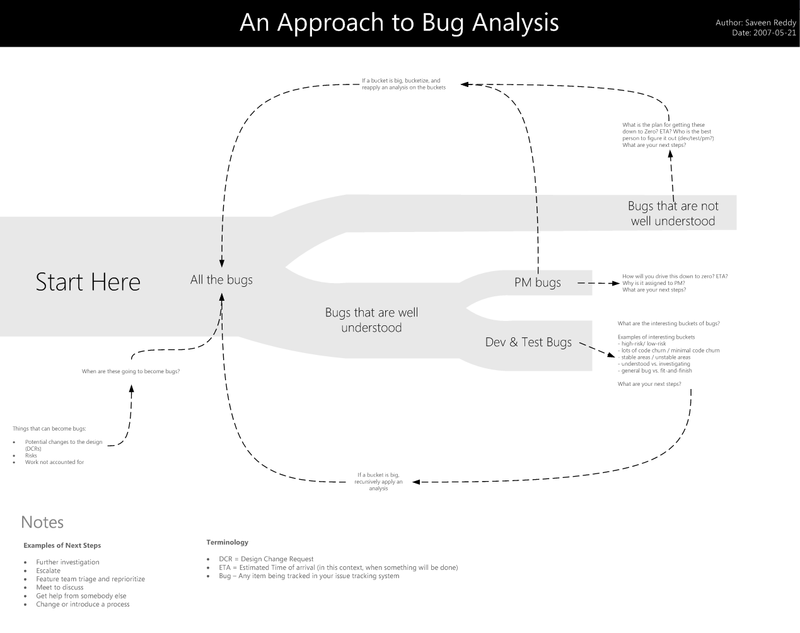 This is an interesting one: Saveen Reddy shows a Sankey diagram-like breakdown of bugs in a software development project. 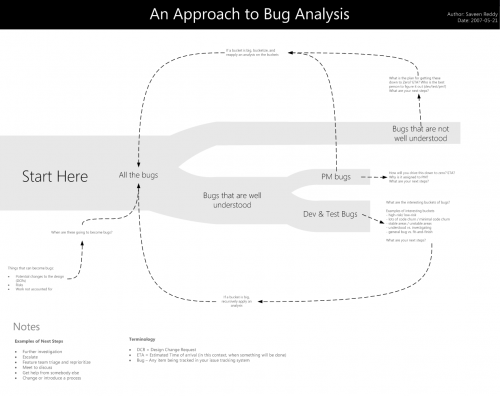 The term ‘bug’ is used “…very generically to describe any issue being tracked, not only defects in source code.”. This does not fully classify as a Sankey diagram, I think, because the arrows don’t seem to reflect any quantities (number of bugs, time spent on bugs, …). But just like the diagram that showed the number of people having been accused and the turnout of the cases I showed here in June 2007, it visualizes a sequence of breakdowns, leading to decisions that are taken (dashed line arrows). Now, anybody wants to check their bug tracking tool and show a similar diagram but with real numbers?